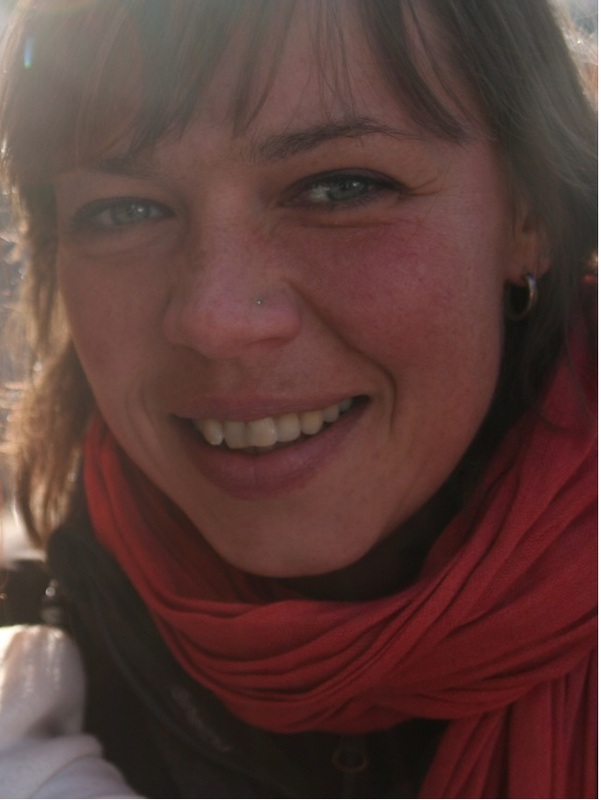 Katharina (born in july 1975) has worked for many years as a lab technician and lived in several german cities like Cologne, Berlin and Hamburg. As the years passed by, her desire for more space and less structures in her life became continually bigger until finally, she decided to leave everything behind and start travelling. Not backpacking, hopping from place to place by bus but by bicycle which gives me the possibility to explore nature, people and their culture at my pace and without a window in front of my nose. Life goes on without Bram…..
go with the flow, my friend…. Hoe gaat het intussen in het nieuwe huis ? Verhuis OK – Magalie OK. De Ronde van Vlaanderen is net voorbij, de rust keert terug. Oud huis nog nie verkocht….. Voor de rest alles OK, en zoveel mogelijk met de Porsche op zwier gaan. Welk werk gaan jullie ginder doen ? grtz Eric. Hola Katharina!! !…..Claudia soy la dueña de la perrita “Blasqui”…..Estoy muy contenta de haberte conocido al igual que a Bram…Esto que estan haciendo de recorrer en bici los paises es increible!! !…No fumes mucho Ok?? ?…..Un abrazo gigante para los dos!! !….Se los extraña!!! Holaaaaa Katharina y Bram..Soy Claudia la de la perrita Blasqui..Es un gusto haberlos conocido…Me encanta lo que hacen..les deseo todo lo mejor para el siguiente recorrido…Cuidense!! !….Y Katharina no fumes tanto ok? ?….Un abrazo gigante para los dos! !